EMC/ESD coating of plastic parts. 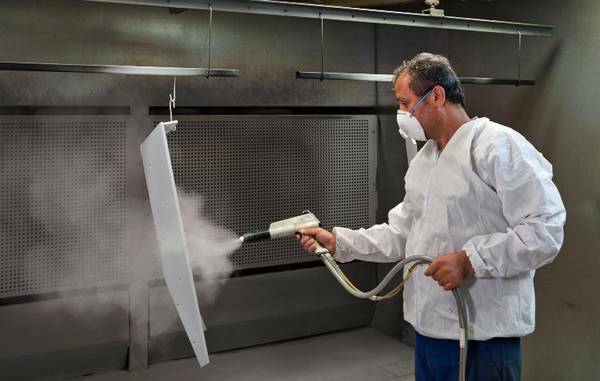 Starting with parts cleaning and pretreatment, filling and grinding, through painting or powder coating to printing we offer you the complete range of surface technology from a single source. The process glass bead blasting rounds out the processsing possibilities. Take advantage of our 46 years old know-how in this area! We paint steel sheet, aluminium, plastic and cast and cover the surfaces selectively or completely on the outside or inside of the enclosure. Due to our own fixture construction and the cover templates, produced in the mechanics belonging to the firm, we can meet customer-specific wishes. Painting, all required color shades according to the RAL color table can be achieved. Deviating shades can be realized by means of templates or color samples. Furthermore, we work with the HKS, Pantone and NCS color space. For a hygienically sensitive area Woehr offers antimicrobial, chemical and corrosion resistant as well as abrasion-proofed equipments. As a manufacturer of enclosures for electronic components we also apply special EMC and ESD equipments for plastic surfaces. Preferably an EMC conductive layer based on copper is used. We advise you with pleasure regarding the production and recommend you which processing is suitable for which material and application area. 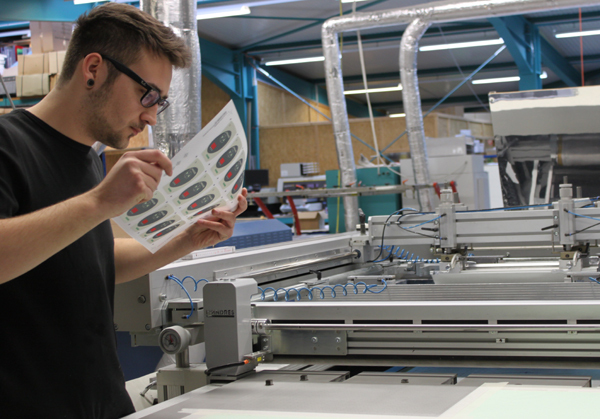 Screen printing is a printing process which uses a wiper-like tool called a squeegee to force the printing ink through a finely-woven fabric (mesh) onto the material to be printed. At those places of the fabric where according to the picture motive no color should be printed the mesh openings of the fabric have been made color-impervious by a stencil. In the silk screen procedure it is possible to print many different materials, flattens (folios, plates etc) as well as formed (bottles, device cases etc). One advantage of screen printing is the variety of the color application by various mesh finenesses so that one can obtain high coating thicknesses. The printing form of the silk screen exists of a frame which is covered with a fabric. Additionally to the colors also technical pastes and polymeres are printed. For specially shaped parts we use pad printing.